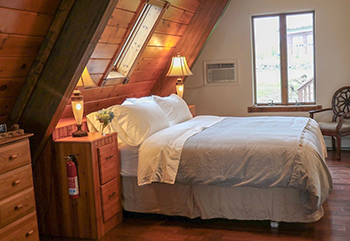 The Chantelle Marie Lakehouse is a beautiful 3-story, A-frame lakehouse with a unique and interesting history. 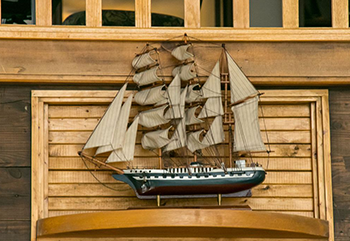 It began its days as the Auburn Savings Bank on Grant Avenue. 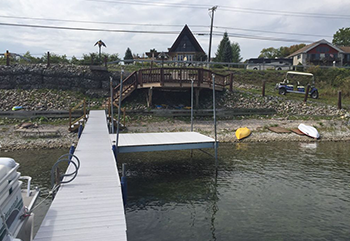 After the structure was acquired, it was dismantled and transported to be rebuilt in its current location by owner Christopher Yantch. 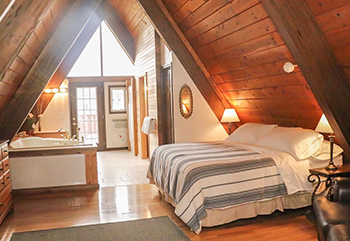 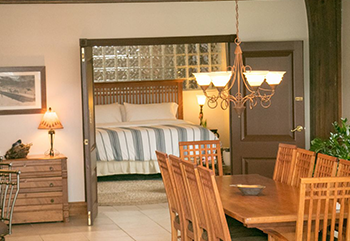 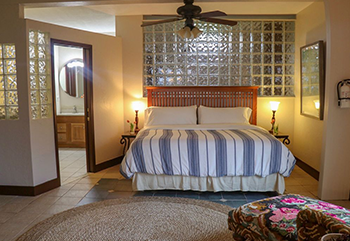 The integrity of the original building still stands in its woodwork and beams, and guests can enjoy its unique, stylish charm and architecture. 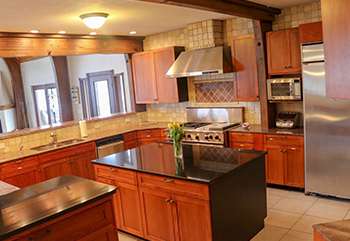 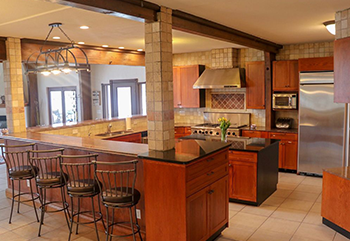 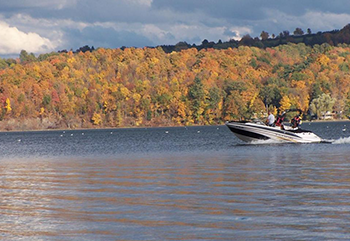 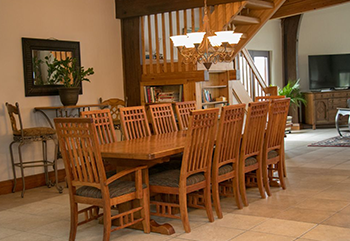 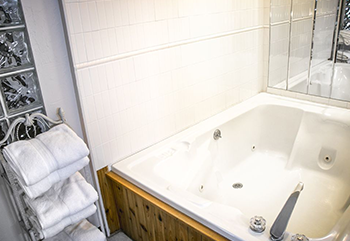 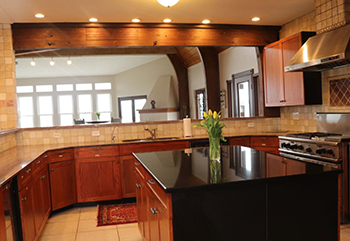 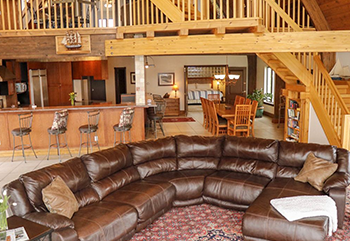 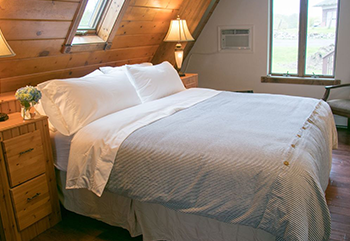 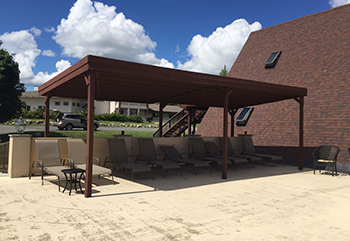 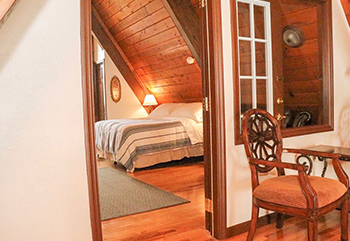 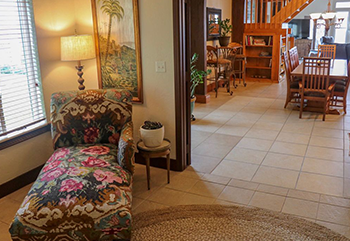 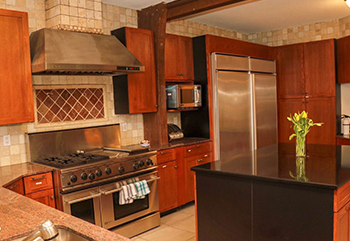 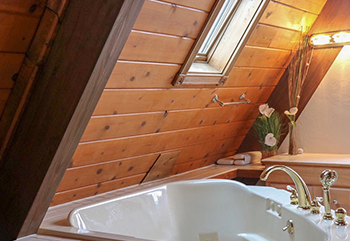 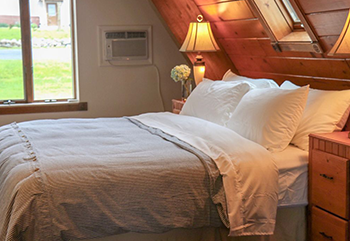 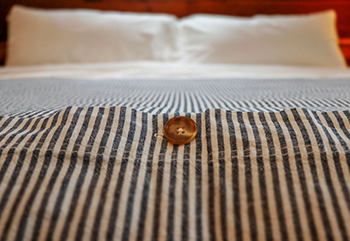 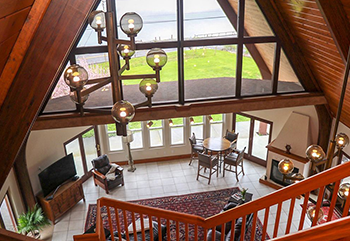 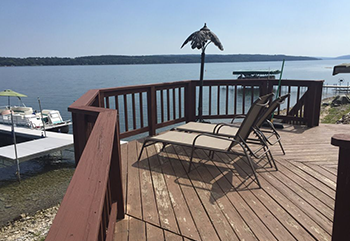 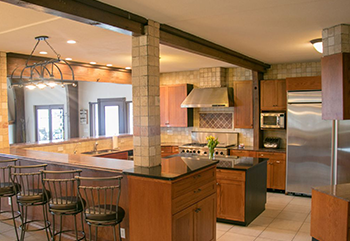 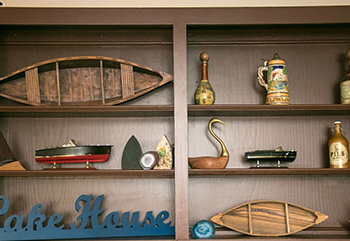 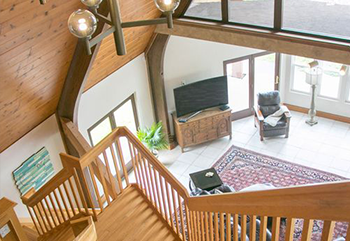 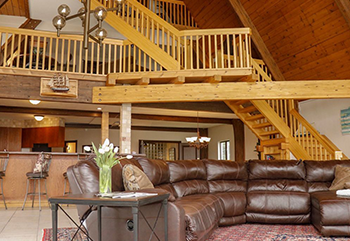 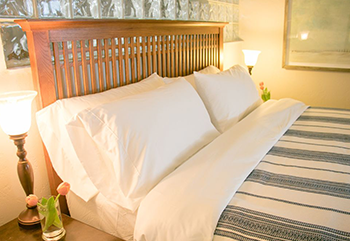 The lake house provides guests with a warm, comfortable getaway on Owasco Lake. 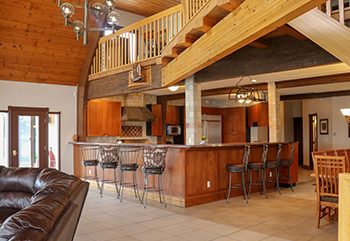 Its 5,500 sq. 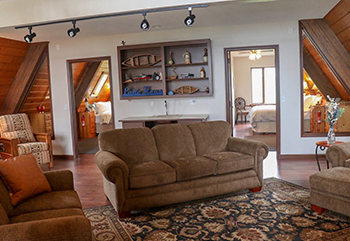 ft. floor plan features 4 king bedrooms with en suite bathrooms, a huge patio overlooking the lake, a gourmet kitchen and breakfast bar, family movie theater, 2 gas fireplaces, comfortable furnishings, and plenty of seating to accommodate every member of your family. 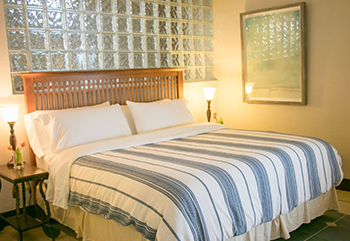 Additional sleeping space is available on the second floor sitting area, with a pullout sofa, as well as two twin mattresses that can be pulled out if needed. 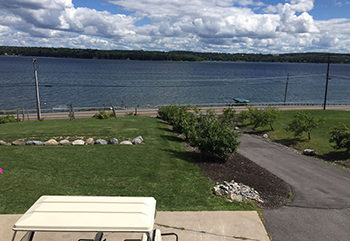 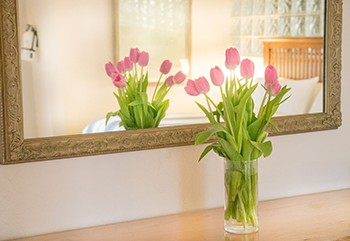 Our rental house is conveniently located close to Historic Auburn, the Cayuga Wine Trail, Skaneateles, and the Finger Lakes Musical Theatre Festival. 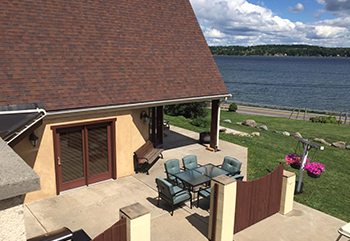 For guests who like to spend time out on the water, lake access with a dock, canoe, and kayaks are all available for use, and are included in your rental package. 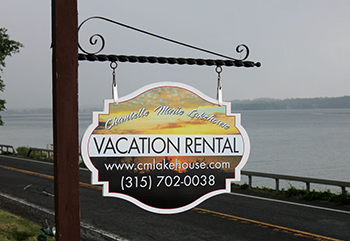 In addition to our lake house rental, we have an on-site special event and wedding venue, the Chantelle Marie Celebration Venue. 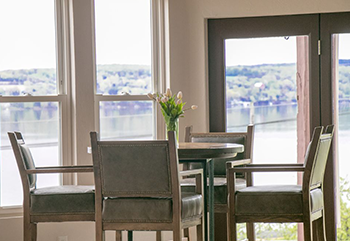 The Celebration Venue was built in 2010 to serve as a beautiful backdrop for guests looking to celebrate life's most special moments with friends and family.